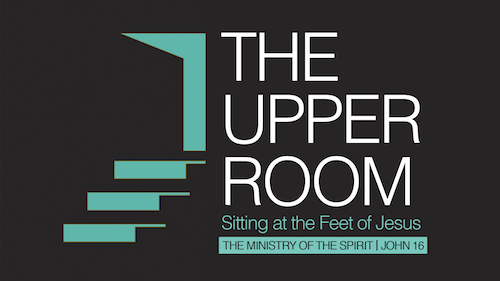 This evening we start a three-part mini series within the Upper Room series on John chapter 16. These three messages will examine the ministry of the Holy Spirit as Jesus taught His disciples about the Spirit prior to His crucifixion. “The overall thrust of the farewell discourse is to comfort the disciples in light of Jesus’ announced and imminent departure. He has assured them that God’s presence will continue with them and take on a new level of intimacy (14:15-24). In John 14:25, 26 Jesus connects the Paraclete’s ministry with His own. Just as the Paraclete will be not only with them but also in them (14:17), so also the Paraclete will teach them all things (14:25,26).” – James. M. Hamilton, Jr. In the first 12 chapters of John’s Gospel, there are multiple statements regarding the Holy Spirit and His ministry. On this last night of His earthly ministry, Jesus reveals to the disciples the secret of His own life – the principle and power by which He operated. The world should look at us, the church, and see we are walking in contrast to the world’s system. The world should look at the church and see people who’ve been set free!